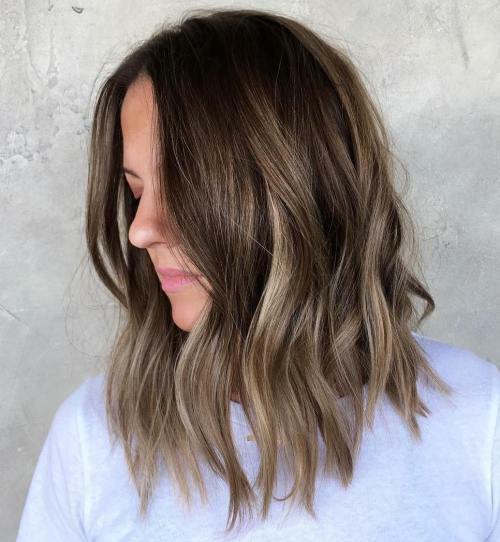 Top 10 Light Brown Hair Looks and Ideas 2019 If you were born with light brown hair, you know better than anyone else about the blessings of this versatile shade. 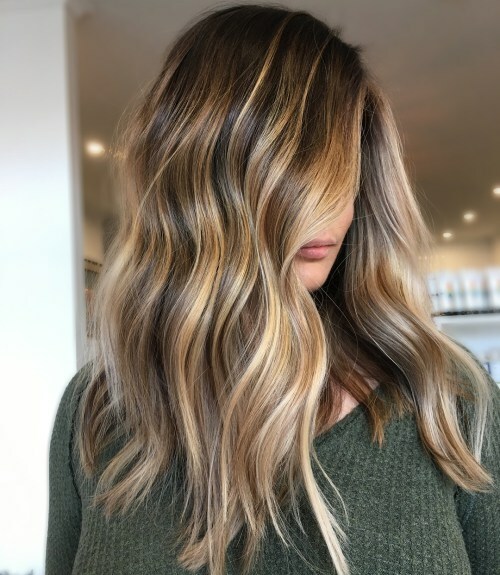 Quite easy to transform yourself into a light, bright blonde, and even easier to dye down to a darker tone – there’s literally something for everyone. 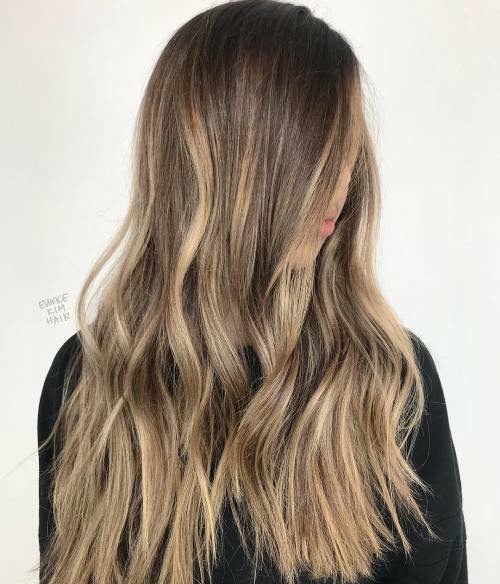 Long, drab, and boring brown hair is livened up and energized with almost blonde waves that spring out from the medium chocolate base. Wear it with piece-y waves or blow it out completely straight. For those of you, who don’t have a beautiful light brown hair color from nature, don’t despair! There are plenty of ways to achieve the exact shade you want. 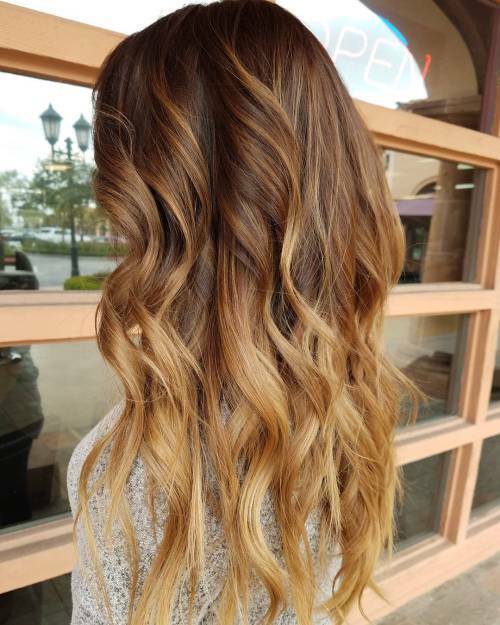 Most of them will require just a quality dye and, ideally, a professional coloring specialist to help set it all up correctly. Getting your hair color perfect is such a tricky challenge; we recommend that you select one (or more!) 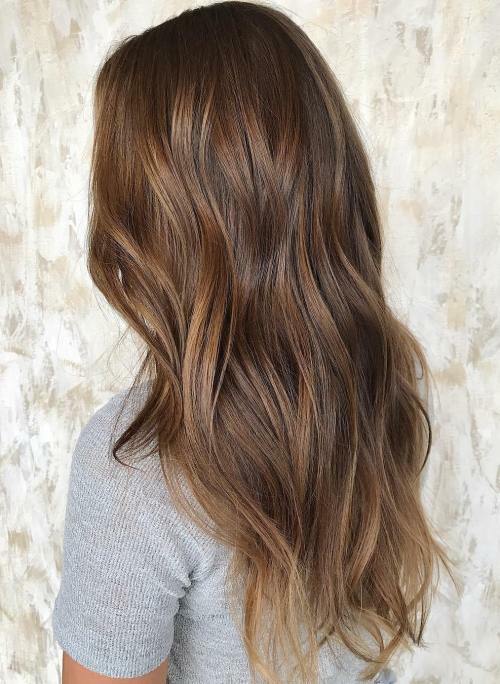 of these fantastic light brown hair color pictures to show to your colorist. Long sandy waves will look as good on your head as they do on the beach! The glazed highlights give the hair the sought-after sense of length, volume, and depth.